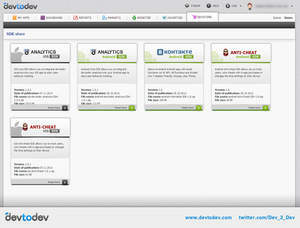 MOSCOW, RUSSIA and SAN FRANCISCO, CA--(Marketwired - Nov 12, 2013) - devtodev, an all-new mobile analytics platform, launched today with the promise of delivering an all-in-one solution to mobile application reporting and market analysis. devtodev is the first app analytics service that combines data from two sources at a time -- a single SDK plus an iTunes Connect or Google Play Account -- to deliver an abundance of clear, concise data to mobile developers in a fully customizable format. Offering a unique combination of all-in-one metrics, report generation, broad-market data, and customization options, devtodev eliminates the need to use multiple platforms to track revenue, user behavior, and broader competitive analysis. Instead, devtodev offers a single interface to follow an app's internal stats and progress on various application stores while following larger app market trends with a highly customizable reporting interface. For example, devtodev uses a single graph to compare data from a range of mobile applications, allowing users to compare the average lifetime performance of their apps on several different platforms. For larger teams, devtodev has developed a flexible system of user roles and access: developers are able to create their own custom user groups, and manage access to projects or specific metrics for the user individually. Additionally, devtodev features a separate "DevStore" section that will be constantly updated with new functions that users can download and add to their apps for free via the devtodev SDK, such as an iOS or Android-based cheat-tracking system. Future updates will include additional tools for monetization and advertising. "We're delighted to finally launch devtodev, which we feel will be an invaluable tool for application developers who want all their analytics -- active users, revenue per user, lifetime value, and much more -- all in one place. We're especially excited for users to try our custom reporting tools, which let developers generate customized reports with any combination or setting of app metrics across any timeframe," said managing director Dmitry Kravtsov. 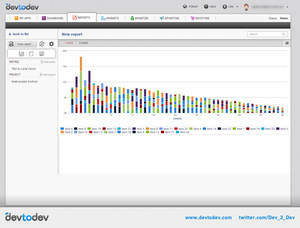 devtodev's functions provide in-depth statistics broken down into separate sections, including purchase and gaming reports, as well as segmentation by country and language. These tools will prove useful for developers, media buyers, and marketing professionals alike. 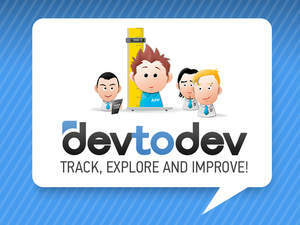 Try devtodev for free at http://devtodev.com. About devtodev: devtodev was founded in January 2013 by Managing Director Dmitry Kravtsov with funding from IMI Investing Company, a Moscow-based investment firm led by Internet entrepreneur and former Mail.ru and Astrum Online visionary Igor Matsanyuk. Headquartered in Moscow, devtodev has a team of 14 employees with expertise in mobile app development, analytics, and marketing with the goal of helping mobile app developers intelligently deploy their content and marketing budgets to bring their apps to the top of the charts.